A lioness is greatly wounded by a fight by a buffalo. Well, we do not blame buffalo because he is also trying to save himself to be eaten by a lioness. but the lioness needs to feed her cubs so this is a form of nature that we could not deal anything but this needs to happen. 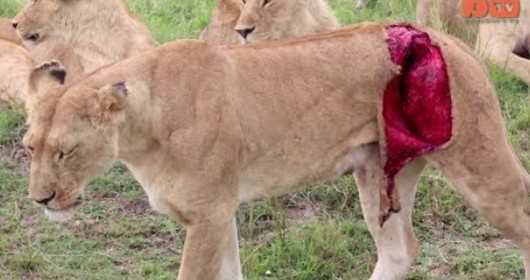 Lioness was near her death because of the wound that was done by the buffalo until a group of good Samaritan saw this and fix the lion. Fortunately, lion is not healed.